Cloud maintains an enigmatic aura in Kingdom Hearts. He comes across as introverted but determined, determined to find that which he seeks - which later becomes apparent that he is referring to his nemesis Sephiroth. In Olympus Coliseum, Cloud accepts a deal with Hades saying that if Cloud can defeat Hercules - and later Sora - then Hades will show Cloud the way to his enemy Sephiroth. However, once Hades realizes that Cloud has lost his value, he unleashes his guardian Cerberus as backup. Cerberus crushes Cloud with his front paw and is knocked unconscious, only to be saved by Hercules before the final blow could be dealt. Later, Cloud expresses his internal conflicts with darkness with Sora saying ". . . I tried to exploit the power of darkness, but it backfired. I fell into darkness, and couldn't find the light." Like Leon, Cloud comes from the world of Hollow Bastion. Unlike the others, however, he wasn't lucky enough to flee onboard Cid's ship and instead his path was filled with trials and Darkness. Sora's first encounter with Cloud was as his enemy. Having entered a pact with Hades, Cloud was to eliminate Sora. He lost, however, and eventually became fond of the perky boy who, much like him, was searching for his Light. They met again a year later in Hollow Bastion. 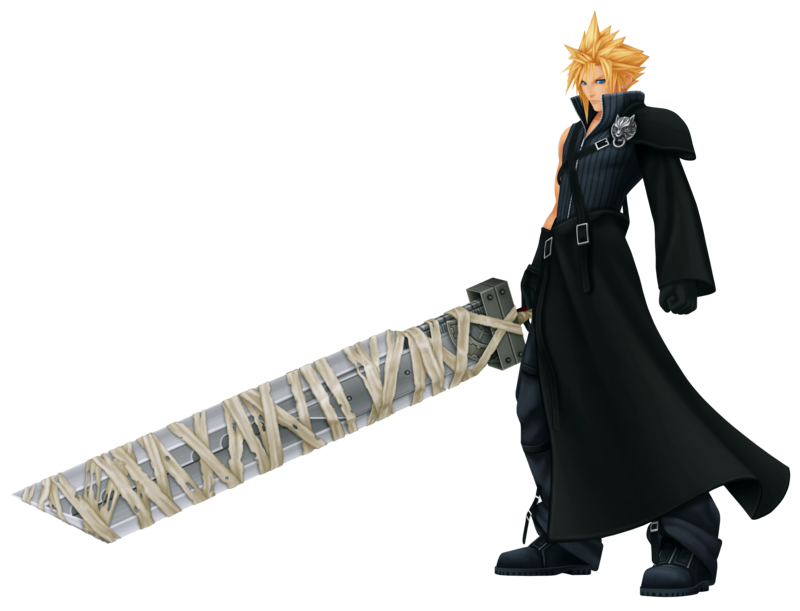 Continuing his journey, Cloud was following a man called Sephiroth who, according to Cloud, was the embodiment of his Darkness. Worried Cloud would lose his way once again, Aerith made him promise he'd come back, and despite Cloud's seeming lack of confidence, let him be. There was no other place his Light would guide him to, after all. Despite this, Cloud seemed intent on chasing his Darkness and he eventually clashed swords with Sephiroth. Tifa arrived in the middle, and Cloud was blinded by the Light she not only harbored but was also willing to share with him. Her constant efforts finally proved worthwhile as the Light was born again within Cloud. With renewed determination, Cloud battled Sephiroth again, but the two disappeared, continuing their battle where the others couldn't reach.